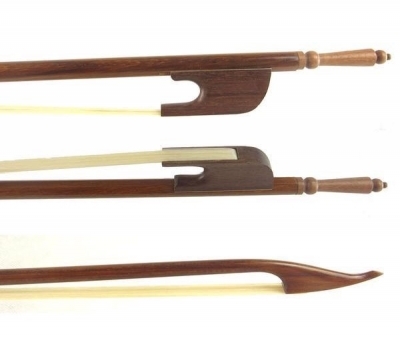 The design and appearance of the violin bow frog has been remarkably consistent for hundreds of years. I recently had the opportunity to purchase a “patented” mutant, and thought that it might be interesting to start of thread featuring alternate manifestations. Here is the one I purchased. Looking around eBay today, I came upon this interesting mutant. 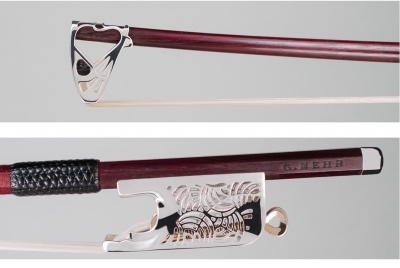 I've seen a professional violist use a bow with a similar frog to this, except that it looked like ivory. Couldn't tell if it was all ivory, ivory-veneered, or imitation ivory. Looks like another candidate, along side of decommissioned tungsten fine tuners, to become an earring. Very decorative. I like it. We see stuff like this from time to time and I always wonder why there are not more variations being made. Fancy frogs are so cool. Looks pretty fancy. I guess it's not made for violinists with petite hands. My fingers would easily get stuck, I think. 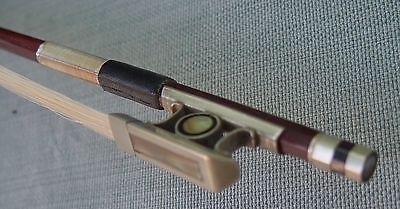 Picture of “slider” aspect of the patented bow frog I purchased. Can’t wait to see how it is assembled. Hi bocaholly. I think that you are mixing up your metals. Your piccolo fine tuner is titanium. Very strong and light. 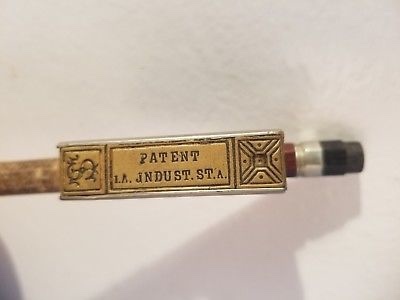 The wrap I am using is tungsten, which is as heavy as gold. Your ear lobes might be strained wearing a Tungsten fine tuner. P.S. Love the stamp on the bottom of that bow! This is a typical bow from the baroque era (ca. 1600 to 1750). Notice the turned up tip and the thin tail of the frog. Also, the bow hold of that time was much further up the bow past the frog. 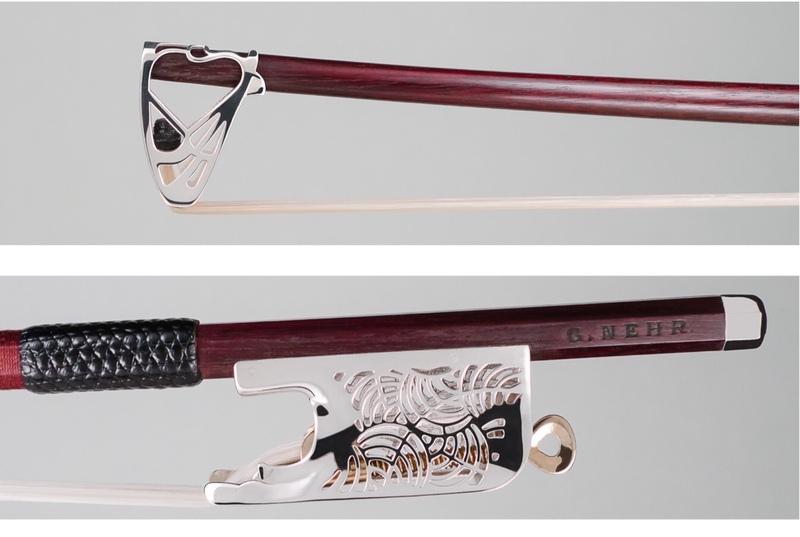 I think this bow is very beautiful. I am a fan of the work of Gilles Nehr. This is an example of his baroque bow frog. While I am at it. 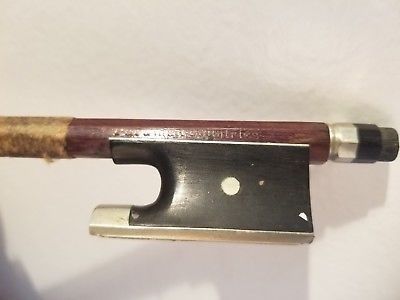 This is an early experimental version of Gilles Nehr’s violin frog where the bow hair can be user replaced. They can be used as weapons of self-defense as well. Everything about the wonderbow is mutant, but since this thread is about frogs here goes. 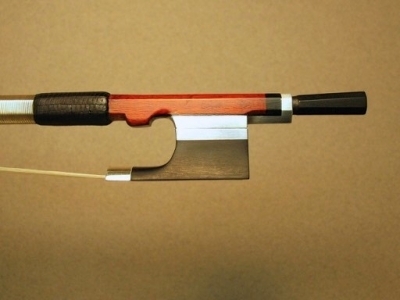 This topic has lovely potential for custom bow-makers. I saw a bow with an agate frog somewhere. Jade would be nice. Heaviness may be a risk. No offence to Gilles Nehr, but that frog is fugly! Another, more recent Gilles Nehr frog.